This is going to be a little bit hard to write, without sounding like “so much sour grapes” but I am going to give it a shot anyway. We ate Chinese today, there is a little place on the south side of town, been eating there for 15-20 years. We have watched the owners’ children grow up, go thru school and on to college, seen the place change decor a couple of times over the years. We have been good, steady customers of this nice small restaurant for quite a long time. Because we had moved to the country, we had not eaten there in a couple of years, and as luck would have it, today we found ourselves there in the midst of the lunch crowd at a little booth in the back of the room. The food as always was super and we were hungry so it made for a good mix. In some ways, it was almost like before, old home week, call it what you want. Except for one thing, and that is this. It appears that I am now officially in the minority in this country, a white, tax paying member of society. I am also slowly but surely being run out or pushed aside by more than one race of people who were not born here. Mexican’s and Asian’s are now the two fastest growing segments of our society in America. They are also a lot different from what I am used to. The Mexicans are proud of their country, culture and lifestyle and try to preserve it as much as possible even when they are living anywhere other than Mexico. 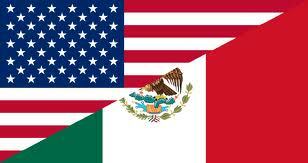 The Mexican Americans however don’t have to make much effort as the neighboring countries have quite a lot in common. So, the Mexican American culture is a blend of the culture of both countries, while distinctly being Mexican. This cultural blend stands out amongst many other ethnic groups living in the USA. Now on the other hand, the American Culture, such as it is, fragmented, diverse, and very much mixed, doesn’t stand much of a chance of survival in this day and age. Mexicans while very big on family life (the center of their culture really) are doing well and thriving. While on the American side of the scale, they are divorcing in record numbers and the family unit is quickly disappearing in this country. A lot of these people are being provided benefits for free, all they had to do is show up. I had to serve six years in the military in order to qualify for some of mine (the very few I have left). Most of us had to go to school, graduate and learn a skill before going to work. All they had to do is cross what was or is basically an open border. The truly sad thing is the way they are exploited by those who hold the purse strings, and often, entered into almost involuntary servitude (wage slavery) by American businessmen. Only a few pay taxes, in my home state only one in five bother to purchase car insurance, they quickly sign up for social programs and assistance, not only for themselves, but their entire family. In other words, they don’t play by the rules, take more than they give back. Now I know that sounds harsh, but it is a proven reality in this country and has been this way for a long time. You know, if you take a frog and dump him in a pot of hot water, he will jump right out. But take the same frog, place him in a pan of cold water, then apply the heat slowly just a little at a time, and he will stay in the pot until he dies. Same thing here. Inch by inch, slowly but surely, the fabric of this country is being re-arranged. The signage is slowly shifting to Spanish first and English second, one milepost at a time, this country is going down the tubes (the America that I grew up in and loved). Today, while sitting in this noisy crowded little restaurant it came home to haunt me. I am slowly becoming a stranger in my own land, and of course, I resent it. This is no longer an immigration issue, this is colonization of a country, plain and simple. And I honestly feel I have to wonder about this one simple fact of life. In the end, will there be any room left for me? This entry was posted in Life, Oklahoma, Recent and tagged bad news, Illegal Aliens, illegals, immigration, Mexico, social injustice, Society, Welfare. Bookmark the permalink. today in Ny i was fixing a sink at a customers house and i swear to god the kids TV show what ever it was was teaching kids to speak spanish! i was pissed and then see your post. push one for fed up. and keep going i like your blog and your bus of course is a masterpiece. dave in Ny almost Pa.